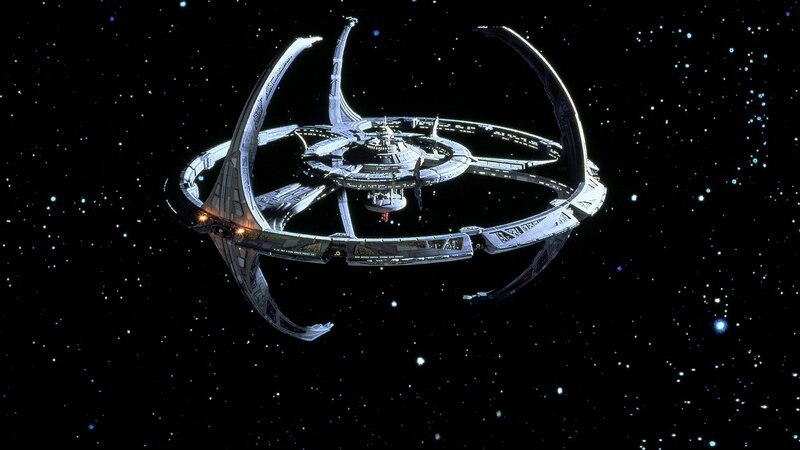 Deep Space Nine is set on a space station orbiting the planet Bajor. This time, Commander Benjamin Sisko is in charge of a diverse crew. But unlike other "Star Trek" series, there's no USS Enterprise to help them. A Starfleet team takes command of an abandoned Cardassian space station near the Bajoran wormhole. Kira's loyalties are questioned when a Bajoran seeks her help. Mounting evidence points to Security Chief Odo as a murderer. Kira races to find a cure for a deadly virus. O'Brien befriends a being who is the prey in an alien blood sport. After Q and Vash arrive, a mysterious force threatens the station. Lt. Dax is forced to stand trial for a 30-year-old murder. A criminal is physically dead, but his essence hides in another's brain. Sisko, Kira, Dax and Bashir become the pawns of Gamma Quadrant aliens and an unwitting Quark. Quark is named Grand Nagus of the Ferengi empire and becomes a target of assassins. An alien criminal claims he knows of other shape-shifters like Odo. Sisko, Kira and Bashir are trapped in a world of eternal war. Nog advises a Bajoran leader; O'Brien saves a village. A Bajoran farmer refuses to leave a moon scheduled for demolition. Delight turns to fear when fantasies become deadly reality. Lwaxana Troi sets her sights for romance -- with Odo! Odo is caught in an alien-induced power struggle between Kira and Sisko. Kira believes a Cardassian visitor is a notorious war criminal. A Bajoran leader objects to Keiko's secular teachings, threatening holy war.